After an absence of nigh on twelve months, a call to come to the garden shed and ”Bring the camera!” had me scurrying Toot Sweet from my office this evening. The dry weather, and what I can only imagine to have been some rather heavy predation from Pompilid wasps, the Rain Spiders have been more scarce than hen’s teeth. And having five hens I can vouch for this! Seeing this youngster had me smiling from ear to ear. A real treat to have one back again. I can only hope that the upcoming seasonal rains will see a few more grace us with their presence. This may be a male from the size of his pedipalps – but this is not certain – ( would be nice if it turns out to be female) and as handsome and healthy an arachnid you are likely to see. He has already undergone at least one moult, as you can see from the old skin I found on the floor of the shed. Previous 13: There be Pink Dragons! It’s uncanny …. 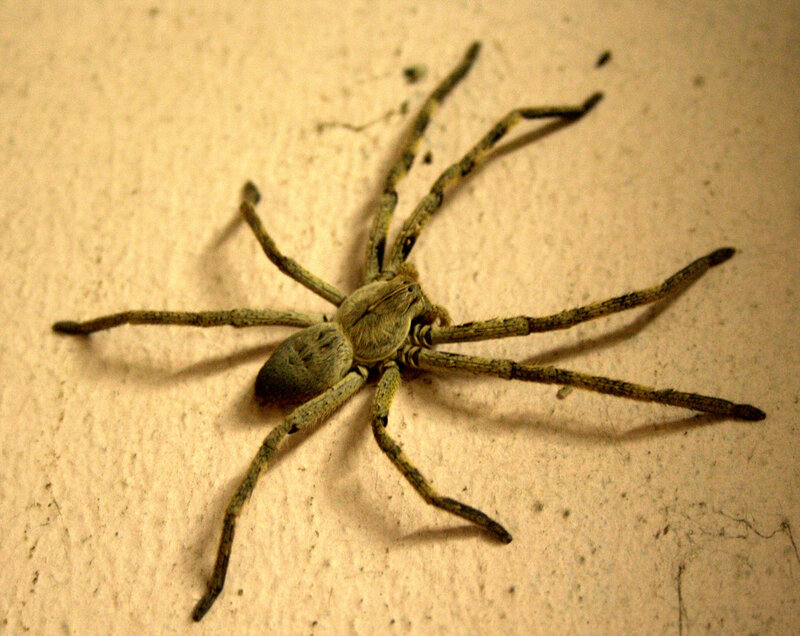 these days you come to mind the second I consider posting a photo of a spider. I think you’ve hexed me! Oh, the gods! Not you too? 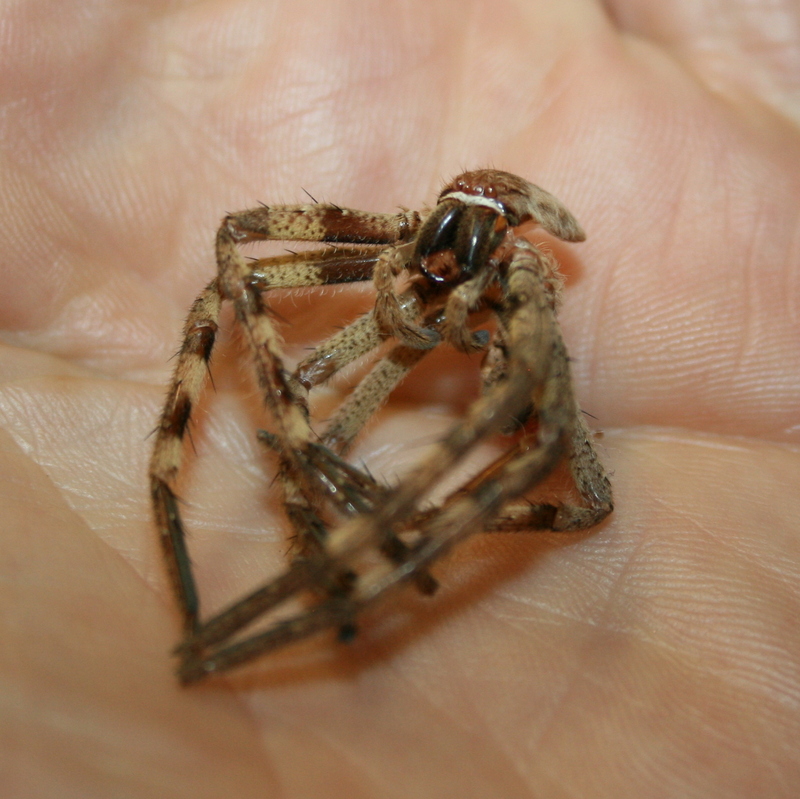 I can appreciate spiders, I can admire them from a pleasant distance, if only they didn’t ‘skitter’ so…and having had a serious spider bite infection at one point, I tend to admire them from further away than I used to. I’ve been bitten a couple of times by (what I believe to be ) a Sac Spider. They are not considered of medical significance these days, but it wasn’t pleasant all the same. Thank you , Ben. They are quite special and I consider it a privilege when they make an appearance. I’m not a big fan of spiders. But I usually let them be — including in the shower. That spider was probably as scared of you and of that splashing water, as you were of it. In any case, I try to let the spiders be, because they help keep insects under control. And so we make progress …. He’s only a baby. I’m hoping if he/she can avoid the attentions of any resident Pompilid wasps we might end up with babies this summer. If I recall, you have no medically significant spiders (dangerous) in Europe so the occasional spider shouldn’t cause any undue stress. some years back I had a resident lady spider sandwiched between the two panes of winter glass. She seemed quite content there, molting and webbing, and now and then in the winter I’d send her a few live flies to play with. She survived, incredibly, about four winters, and then one day I found her hanging by one delicate leg, at the bottom of her last web. I felt like a character in Charlotte’s Web. Those are seriously good photos Ark! Thank you. The Spider is the real star of this show without doubt.